LifeFence.com offers a practical pool fencing solution for pool safety. We carry Sentry Safety Pool Fence brand EZ-Guard pool fencing: a line that is superior because it is easy to install, uses stainless steel rods for maximized strength and resilience, and is backed by a lifetime warranty. Additionally, this fencing creates smaller holes which are half the size of competitors, for a cleaner look. It is completely removable, easily adjustable and comes with ground plugs to cover the holes when the fence is not up. With Sentry Safety EZ-Guard pool fencing, your pool can still play an important role in entertaining friends and family even with a child safety pool fence. LifeFence.com supplies this trust brand to provide security and peace of mind for your baby, child, and pets for residential swimming pools. Sentry Safety designed the child safety pool fences to set-up and take down in minutes. Simply unhook the fencing from the wall or other fence pieces to release the tension and take the poles out. It's just that simple; no tools are needed. Meanwhile, plastic ground sleeves protect the pool fence poles from the wear and tear of repeated setups and removals. Plus, they protect the feet of your family from the sharp edges of the holes while your pool fence is in the down position. Installing your own child safety pool fence saves time and money. Don't rely on fitting into the busy schedule of a contractor or installation company. Do it yourself in your own time frame. Also, with all our exclusive tools guiding you, it is simpler than ever to do the job right. With a little work on your end, you can save up to 50% of the cost of hiring someone to do it for you. LifeFence.com has been in the pool fencing business for years, catering to do-it-yourselfers by offering packaged kits, a no hassle ordering process, portable easy to handle sections, and helpful how-to instructions. Due to the large quantity we work with, LifeFence.com is able to offer this essential life saving product line at an affordable price point. With LifeFence.com and Sentry Safety Pool Fence - doing it yourself has never been so easy and cost effective. take down in minutes. Simply unhook the fencing from the wall or other fence pieces to release the tension and take the poles out. It's just that simple; no tools are needed. Meanwhile, plastic ground sleeves protect the pool fence poles from the wear and tear of repeated setups and removals. Plus, they protect the feet of your family from the sharp edges of the holes while your pool fence is in the down position. Serving North America, the Caribbean and other international locations. Map to nationalheadquarters, click here. Web Direct Brands had its start in 2001. Operating as a corporate base, Web Direct Brands owns and runs a growing number of online e-tailers. These websites all operate independently of one another, but are governed by the same dedication to customer support and management principles. At the end of a dynamic first year, the company acquired over 2.8 million in sales. At the end of 2008, expectations were that we would surpass 5 million in sales. 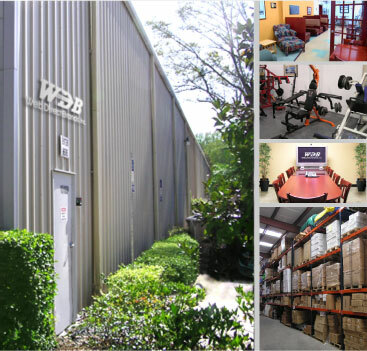 Based in Odessa, Florida, Web Direct Brands operates under a unique business style. Our facilities have been built with this style in mind. The innovative design provides open spaces and lush indoor vegetation for a relaxing and generous personal work area. 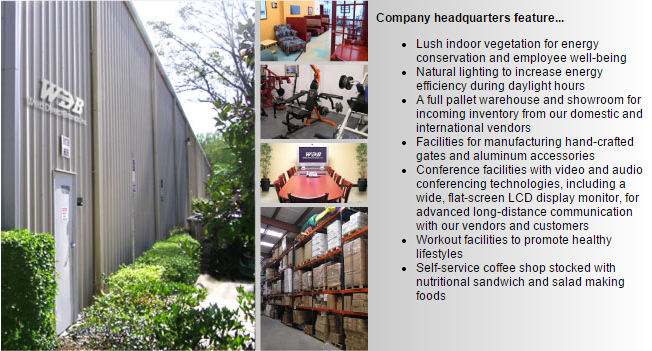 The buildings also include a conference room, workout facility, coffee shop and more. 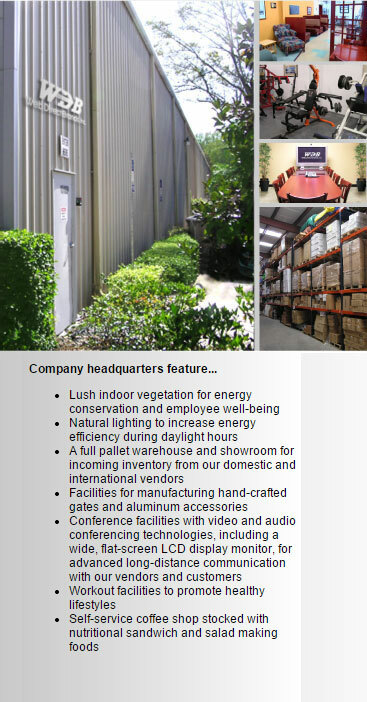 This is in addition to a large full pallet warehouse for incoming inventory from our vendors originating in and out of the United States.